How Was the Snowstorm Dig Out? Winter storm Harper brought snow, freezing rain and ice to the North End / Waterfront this past weekend. Many of us are still thawing out after the freezing temperatures caused snow and slush to turn to solid masses. 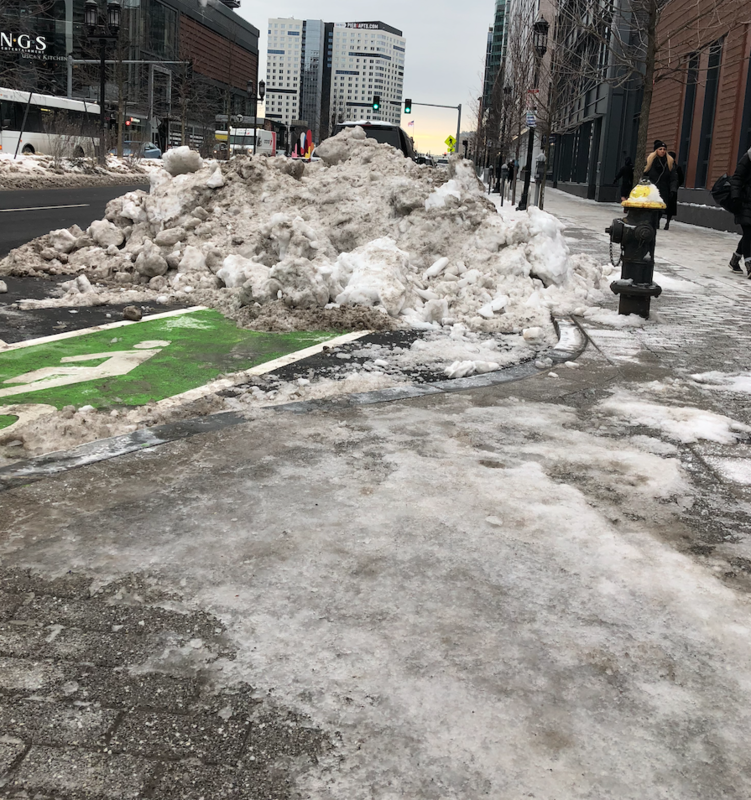 How was your experience in the aftermath of Boston’s first winter storm of 2019? Was the neighborhood’s recovery better or worse than usual? Vote in our poll and add your comments in the section below. Who, if anyone, is responsible for clearing curb cutouts? I believe the adhacent property owner is. But it’s hard to keep up with with the plows going by and foot traffic packing down the snow. Trying to get around with a stroller has been tough, can’t imagine how a person in a wheelchair or not steady on their feet would do. I know the quick freeze made conditions difficult, but I think a better job could have been done to clean up before the freeze. Even fanieul hall is treacherous walking!